The NPD Group, the electronics market sales tracking firm, is expected to release a dour assessment of the video game industry’s holiday season. Analysts are predicting that console, handheld, and game sales all saw significant year-on-year declines from past Christmas seasons. Remember this, though: The NPD Group’s sales reports are no longer an accurate depiction of the health of the video game industry. It doesn’t reflect the booming digital download trade on mobiles and PCs, nor does it reflect the booming creativity of independent game makers. Those grim sales figures that come in month after month demonstrates one thing unequivocally: That the business that made GameStop one of the world’s most profitable retailers is dead for good. GameStop reported its holiday sales data on Tuesday morning 48 hours before the NPD Group released game industry data for the holiday period. GameStop’s total sales fell but they didn’t dip too much. Global sales for the nine weeks that ended on Dec. 29 came to $2.88 billion, a drop of close to 5 percent year-on-year. A number of factors contributed to the drop. Console sales fell close to 3 percent while new game sales were down 5 percent. The company’s digital business of downloadable content grew 40 percent, with mobile games bringing in $76.5 million for the period, promising growth but not speedy enough to make up for lost revenue from physical sales. The poison in GameStop’s well is its used game business. Used game sales dropped nearly 16 percent over the period. The company attributed the dip on “limited inventory due to fewer new titles released throughout 2012 and less promotional activity negatively impact[ing] sales compared to last year.” That is in reality more symptom than cause, though. The truth is that people are spending less and less on physical copies of games. That is the reason that GameStop’s used game inventory is shrinking; people aren’t buying games that can be sold back to GameStop and then resold again at a steep profit. On a long enough timeline, the erosion of the used game market will kill GameStop. Historically the company has made close to half of its profits on used game sales. Even if sales totals only dip slightly year-on-year, its GameStop’s profits that are really hurt. 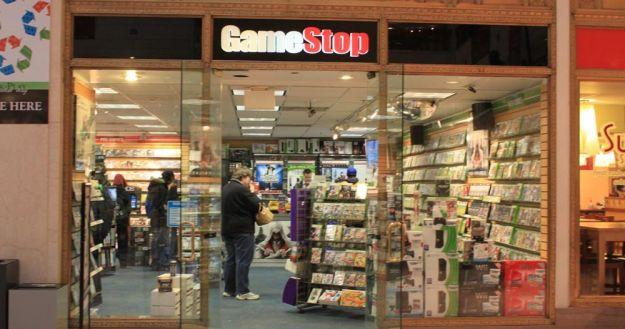 What GameStop’s decline will ultimately mean for the video game business is up in the air. It’s possible that game developers will finally see more money from game releases once the secondhand market is eliminated, allowing them to take more creative risks. On the other hand, piracy remains a crippling problem for digitally distributed games.